A highlight here of Holy Week resources by Sally Beck and our team of artists for Visual Faith Ministry. We are so blessed by their contributions. Palm Sunday image by Sally Beck. 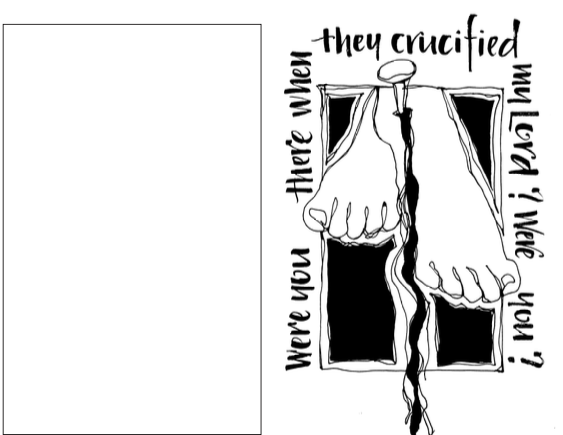 Maundy Thursday Resource by Sally Beck. Good Friday resource by Sally Beck. Easter Sunday resources by Sally Beck. 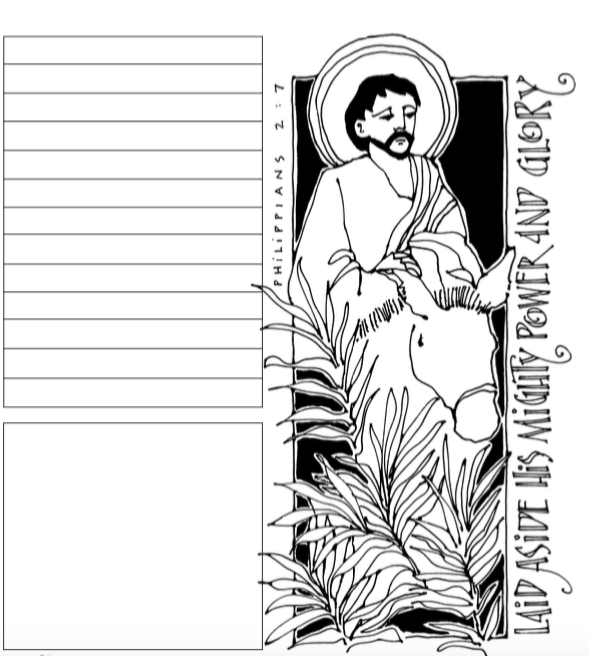 Holy Week margins available on the website. May these resources be a blessing to you as you spend time praying, coloring and journaling for your Holy Week devotional time. Here are some half-page images for devotional art. Blessed Easter!